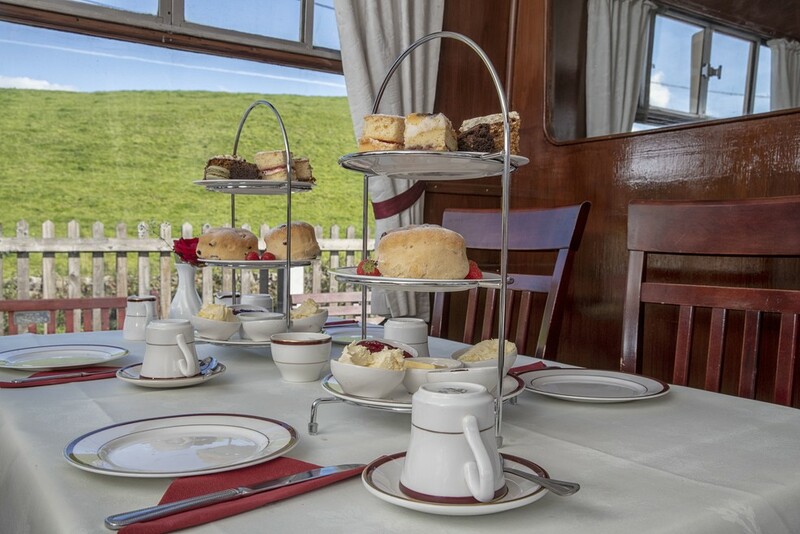 What could be better than enjoying the unique experience of Dining and a Steam Train journey all at the same time. 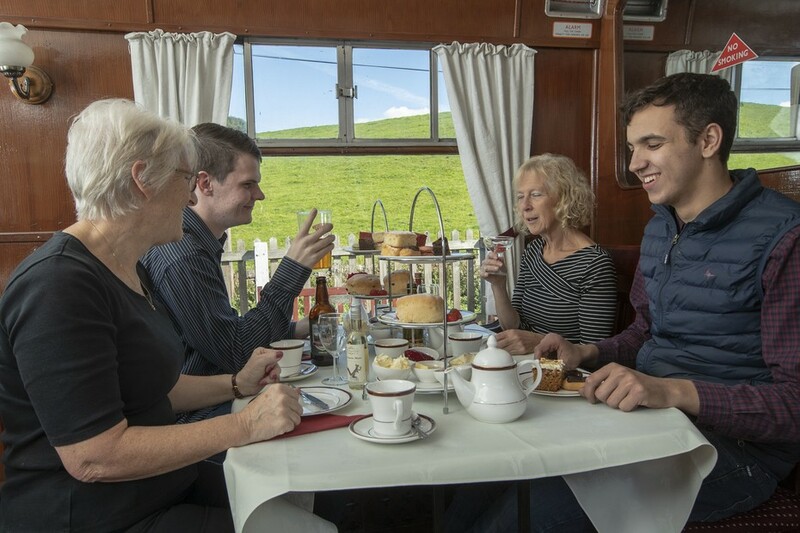 Step back in time to the 1930's in our dining carriage ‘Diana’ and enjoy a Staffordshire Cream Tea where you will be served at your table by our dining team. Enjoy scrumptious freshly baked scones, served with clotted cream and locally sourced jams plus a selection of cakes accompanied by unlimited tea or coffee. You can pre order alcoholic drinks online or via our office when booking alternatively purchase on the day from our on board bar. Drinks priced individually and not included in the ticket price. Menu and Dietary Requirements. To download the Staffordshire Cream Tea Menu click here. For dietary requirements please contact the office for more information. We offer a full bar on board where you can you buy a range of drinks including cocktails or if you prefer you can pre-order your wine, beer or prosecco and this will be ready and waiting at your table on your arrival. Drinks are priced individually and not included in the ticket price. We do not accept cancellations. Unfortunately due the heritage design of Diana the dining train is not accessible by wheelchair. Customers with limited mobility should call the booking office to notify of your requirements and we will do our upmost to accommodate a table nearest the entrance. There are customer toilets on board the coach. We welcome well behaved children over the age of 8 years old. Staffordshire Cream Tea trains depart Froghall Station at 14:10 sharp returning to Froghall Station at approximately 15:20. 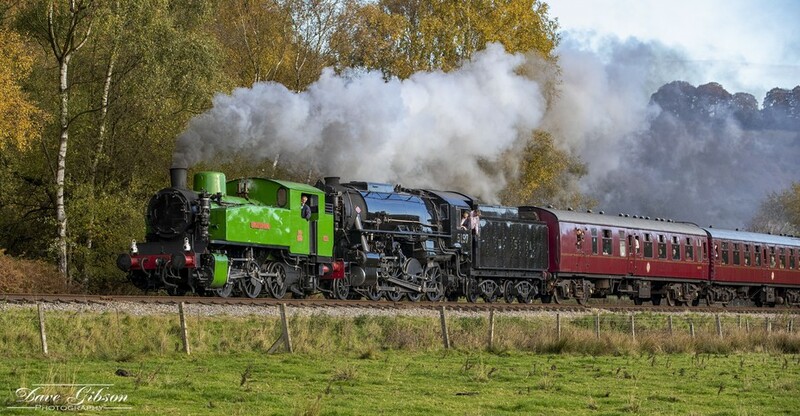 Unfortunately due to the heritage design and style of our first class dining coach we have a limited number of tables of two, with remaining tables being tables of four. If you would like to guarantee a table for two please purchase a table of two guarantee at the time of booking. Failing to do so may result in you sharing with other passengers on the day. Dogs are not permitted on the dining coach with the exception of Service Dogs. There is free parking at Froghall with limited Disabled Parking. We advise that you arrive at least 20 minutes prior to departure. 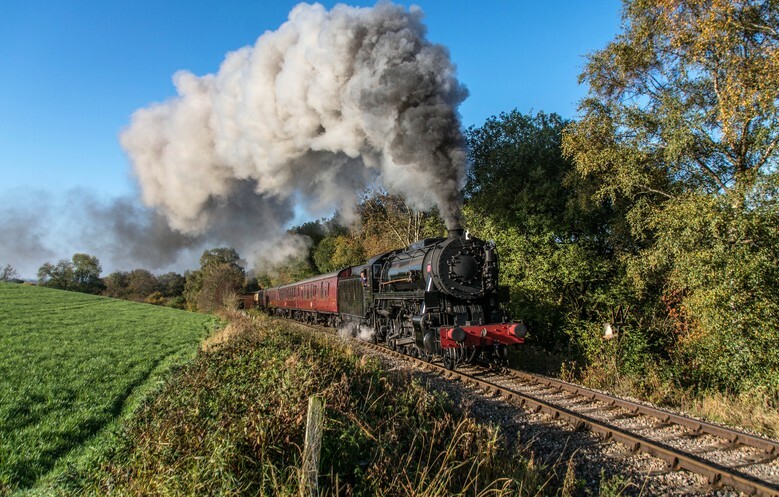 If you would like to buy this experience as a gift then please call our booking office for a Churnet Valley Railway Gift Card. Additional costs apply to this depending on the package purchased. 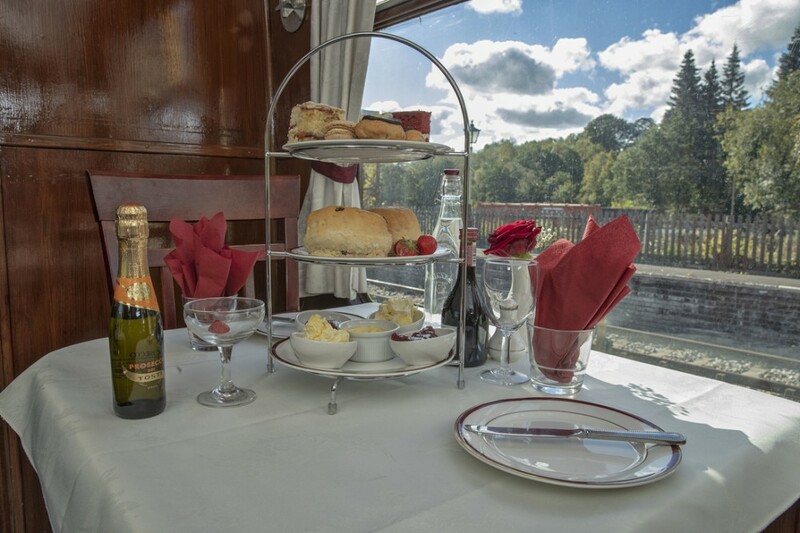 If you are in possession of a Staffordshire Cream Tea or Cream Tea voucher then please call the booking office to book your table. If you have a special occasion we can cater for this . You should include in your online booking, under the "special instructions" tab or call the booking office with the name of the person or persons for whom this is a special occasion. 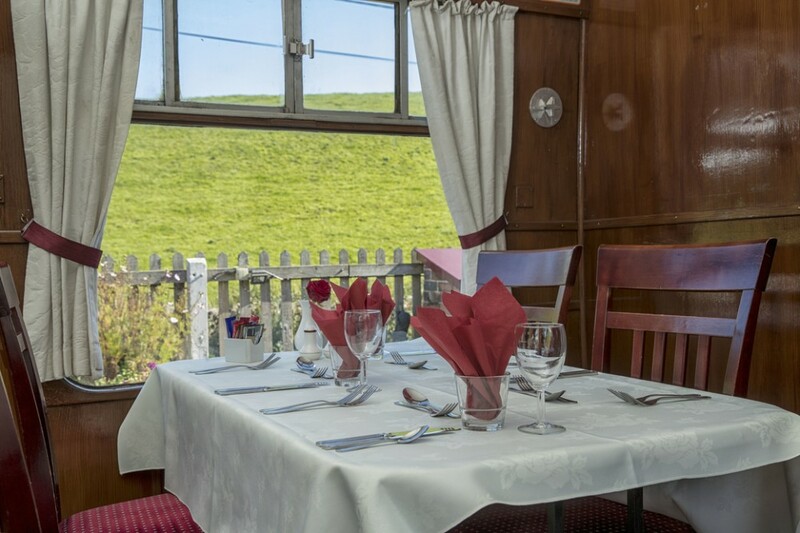 Our dining train can be hired exclusively for a maximum Group Booking of 48 passengers. For more information please contact the booking office. A legacy left by Diana Clementson. A respected fireman sadly passed away in 2014 following a long battle with cancer. Diana is someone who would not hide from the duties of an operational railway. 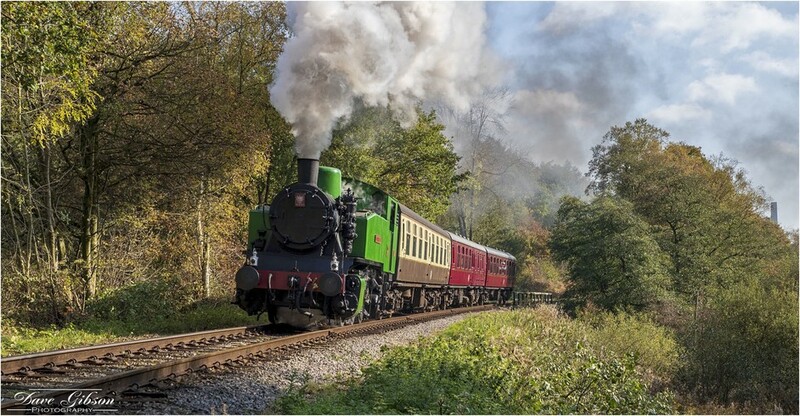 Previously volunteering at the Llangollen Railway before coming to Churnet Valley Railway. "Lady Di" as she became known had an infectious smile and left a lasting impression on everyone she met. Upon her passing she left a substantial amount of money to the Railway which was used in the winter maintenance in 2015-16. The coach was renamed 'Diana' in her memory.